Win an Amazon Echo Dot (new 3rd Gen. with amazing sound) 12 giveaways! 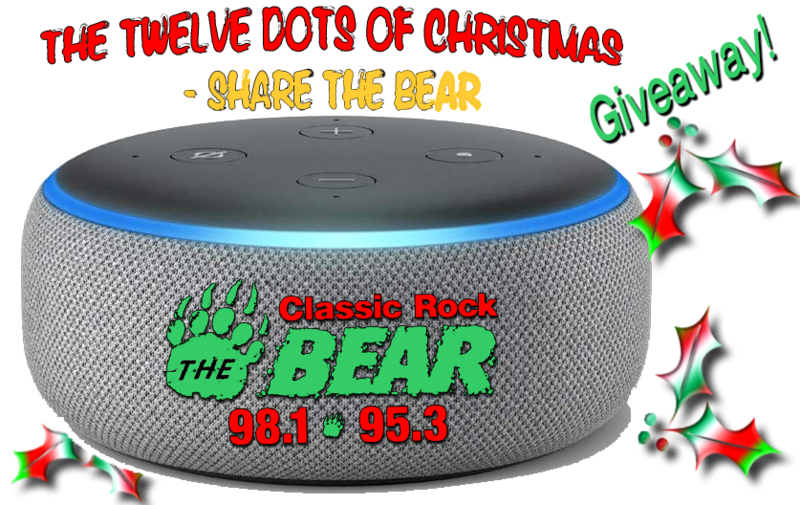 to stream your FAV.. Classic Rock The BEAR! Each day we'll randomly draw one winner - it's that simple! between 9a-5p weekdays with your photo I.D. 514 Munson Ave., TC 49686.